The Louisiana National Guard’s special disaster-response team concluded three days of training with a final evaluation exercise to maintain its Department of Defense certification at the Joint Emergency Services Training Center in Zachary, Jan 4-7. Check out the latest La. Guard Minute featuring the retirement ceremony for Maj. Gen. Steven Dabadie. The ceremony was held at the Gillis W. Long center in Carville, La. Nov 12, 2016. Check out the latest La. National Guard Minute. LANG sent 2 UH-60 Black Hawks to assist with training at Eglin Air Force Base in Florida, Dec 1. The Black Hawks helped the 7th Special Forces Group complete 200 static-line jumps and 12 HALO jumps. Check out the latest La. National Guard Minute of the celebrations marking the 20th anniversary of the State Partnership Program between the Louisiana National Guard and the Belize Defence Force. Celebrations were held in Belize City, Belize and New Orleans, La. 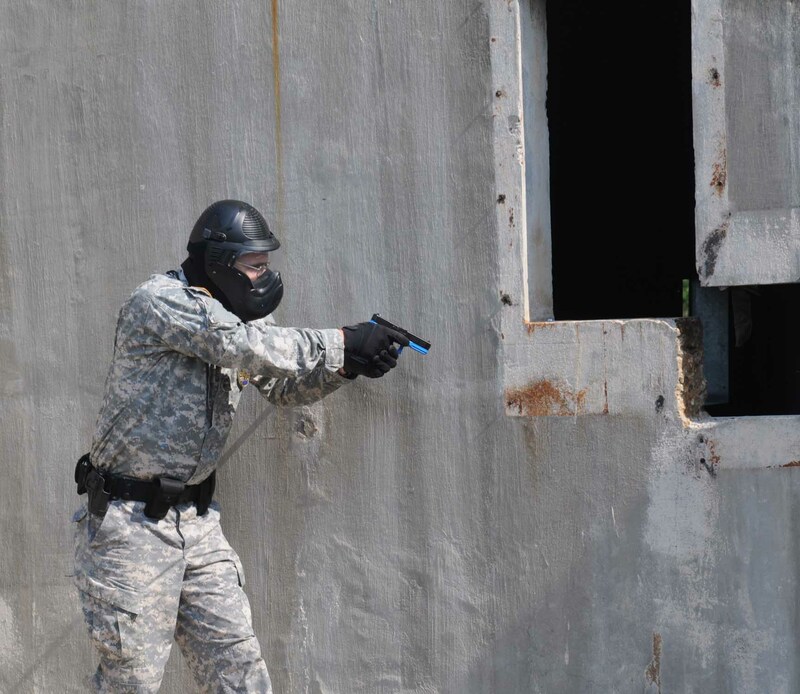 Soldiers and Airmen of the Louisiana National Guard competed in this year’s TAG Match. Guardsmen compete to earn the Governor’s Twenty tab as well as a chance to represent Louisiana at regional and national marksmanship competitions. Here’s a look at this year’s competition. 1SG Mcgee helped start our states combative marksmanship course that we use today. He along with 1SG Chapman were 2 of the 8 on the international all guardsmen combat team and helped take the Fortuna Trophy at the British Army Reserve Operational Shooting Competition! Now the reigns are being handed over to 1SG Chapman as TAG Match begins for the new Soldiers and Airmen competing for the Governor’s Twenty. The Louisiana National Guard held their second annual MWR bass fishing tournament at the Fort Polk Army Recreation Center at Toledo Bend, Sep. 17-18. The tournament was open to all Service Members, retirees, Louisiana Military Department (LMD) employees and contractors. Greet the latest graduates of LANG’s Youth Challenge Program in this Guard Minute feature. Check our latest La. Guard Minute highlighting the inaugural Fearless 5K and Health Expo hosted by the Louisiana National Guard at the Fort Randolph and Buhlow State Historic Site on Sept 10 in Pineville, La. The community running event was created to increase suicide awareness and showcase veteran and community resources during Suicide Prevention Month. Check out the latest La. Guard Minute showing Louisiana National Guard Soldiers at Jackson Barracks partnering with the St. Bernard Sheriff’s Office to conduct a DoD mandated annual anti-terrorism exercise. The training included responding to a suspicious packet incident. Check out this ‎Louisiana National Guard Minute about the National Guard Youth Foundation/Veterans Job Fair. It is geared to cadet graduates from the National Guard Youth Challenge Program Ages (17-19), National Guard Veterans, and other military veterans from the state of Louisiana. Check out this ‎Louisiana National Guard Minute honoring former Adjutant General Maj. Gen. Ansel M. Stroud Jr. Stroud was the second longest sitting adjutant general with a military career spanning 53 years.